For me, Warriors are simply the most versatile class in the game. Having the option to both acts as a DPS and Tank and being able to excel in both roles is one of the most exciting things about a Warrior. Warrior has an extremely low skill floor, and a very high skill ceiling, meaning you will be forced to invest a lot of time into this class to play it at maximum efficiency. Playing Warrior to its fullest can take months of practice, and there is constantly a way to improve your playstyle. This continuous strive for improvement and the sheer amount of possibilities to experiment with Warriors add a flavor to them especially for players who are looking for a more complex class with excellent min-maxing potential. But, even for less dedicated players, Warriors can be a fun experience due to their comparatively high mobility, survivability (with the highest base HP, second highest base endurance and the most I-frames per class in the game), damage potential, and an overall dynamic and fluid playstyle. As of right now, Warrior DPS is the most consistent DPS when played properly, only losing out to Berserkers in some fights, and, as of the Awakening patch, D-Stance Warriors are by far the strongest Tank class in the game damage-wise. However, as said before, Warriors, in general, have a very low skill floor, which means that if you perform badly, it will be extremely evident. This means that they are not the optimal class to start TERA with. Because of the complexity of the class, it is easy to make mistakes, fail skill chains, buffing at wrong times etc. for a new player, which can result in a massive decrease in overall effectiveness. To some people, this challenging aspect of Warrior's might be the selling point, however. In any case, it can be said that Warriors are not the most beginner-friendly class out there. Whether or not this discourages you as a new player to try them out yourself, you have to decide for yourself. Note that everything can be learned with enough practice and dedication to the class. If you want to get the hang of how Warriors work by playing other classes, I recommend playing a Valkyrie for pure DPS players and a Lancer for Warrior Tanks as alts, as the mechanical knowledge learned from those classes translates somewhat decently into the Warrior counterpart. Valkyries are perfect to get used to the edge-stacking system, seeing as they have a similar, more simplified system in use for their main damage skills. It has to be noted though that the Valkyrie is much less flexible than a Warrior is. Lancers are more reliant on actively blocking than Brawlers, making them an excellent choice to get a general idea of what to expect from Warrior Tanks. Warrior Tanks are, however, more dependant on mitigating damage by using skills than Lancers are. This will be expanded upon in its section later on. 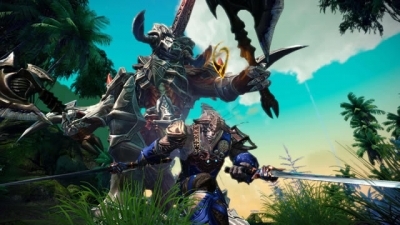 How to Earn XP and Level Up Fast in TERA? 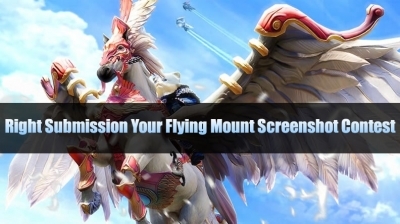 Here's a basic guide on how to Level up in TERA. 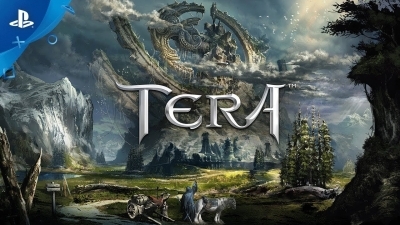 The aim of this guide is to make leveling in TERA fast! 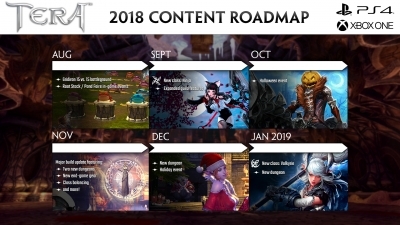 There is a list of repeatable quests that will provide good experience points and also provide good to decent loot while you are at it. 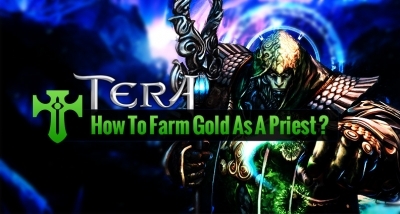 How to Farm Gold as a TERA Priest? The most diverse character in TERA, this class can be one of the easier ways to accumulate gold. They are very good to have an in a group, they are very good at soloing mobs and even Bosses themselves. Their unique array of talents includes the ability to buff and even resurrect fallen team members, meaning your quest can continue after a casualty.